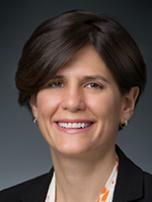 Staci Warden is executive director of the Center for Financial Markets at the Milken Institute. She is also chair of the Rwandan Capital Markets Authority. Previously, she spent six years at JP Morgan in London, where she ran its Central Bank client franchise in Europe, Eurasia, and Africa, and two years in New York as part of the sovereign DCM deal team. Earlier, she was a director at NASDAQ and led its two initiatives for micro-cap companies.